Provide comfort for the family of M. Louise Pile with a meaningful gesture of sympathy. M. Louise (Sponsler) Pile, 96, of Everett, a resident of Chambersburg for over 50 years, was called home to be with the Lord on Friday, December 7th, 2018. She was born Thursday, July 6th, 1922 at D.R. Sipes Hospital in Everett, a daughter of the late W. Bowden "Bowd" Sponsler and Matilda Baird (Eshelman) Sponsler. On January 4th, 1948, she married Simon J. Pile who passed away on August 6th, 1971. 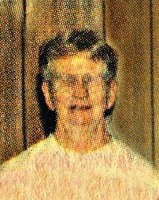 She was preceded in passing away by a sister Gladys Ferguson and husband Marvin “Slim” Ferguson, and three brothers, Paul Sponsler and his wife Helen, Clarence Sponsler and his wife Evelyn, and Allen Sponsler and his wife Eileen. Mrs. Pile was a member of the Solomon’s Lutheran Church in Chambersburg and a member of the Martha Custis Chapter #342 Order of Eastern Star. A graduate of Everett High School, Class of 1940, Louise then attended Catherman's Business School in Chambersburg, and then worked as a secretary at Letterkenney Army Depot in Franklin County until retiring. Truly dedicated to her family and church, Louise was a fine homemaker who truly enjoyed bowling with her friends, usually 3 or 4 nights a week or simply taking a walk through town. A believer in equality for all, she will be remembered for her dedication to her country, her willingness to help, and the love she shared with so many. Funeral services will be held Wednesday, December 12th, 2018 at 1:00 pm in the Chapel at Dalla Valle Funeral Service, Main Street, Everett, with Pastor Kathy Popp officiating. Friends may call at the funeral home on Wednesday from 1100 am until the hour of service and share memories online at www.dallavalle-everett.com. Burial will be held at Everett Cemetery. Memorial Contributions may be made in memory of Louise to Rebecca’s Personal Care Home, 118 Masters Avenue, Everett, PA 15537. Donations are being accepted for: Rebecca's Personal Care Home. We encourage you to share your most beloved memories of M. Louise here, so that the family and other loved ones can always see it. You can upload cherished photographs, or share your favorite stories, and can even comment on those shared by others.